What is E. Coli and How Can I Protect Myself? The United States has had a recent E. Coli outbreak that infected over 20 people across 15 states. What exactly is E. coli, and what can you do to protect yourself from getting it? Where could you get an E. coli infection from? Should you stop eating certain foods? How quickly could you get sick after being infected with E. coli? What are the signs and symptoms of being infected with E. coli? What should I do if I get infected with E. coli? How can I prevent getting infected with E. coli in the future? What is E. coli ? 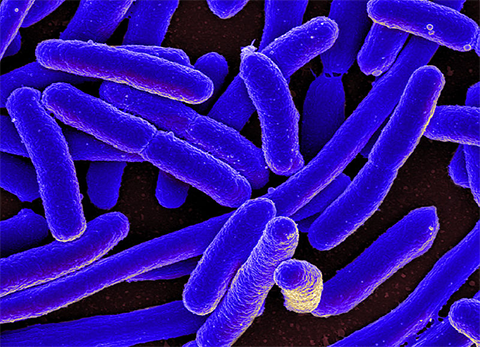 Escherichia coli (also known as E. coli) are bacteria found in the “environment, foods, and guts of people and animals.”1 Most strains of E. coli are harmless but others can make you sick. The strain causing the outbreak in the U.S. is called E. coli O157:H7 . Unfortunately, it happens more than we would like to think it does. The bacteria typically live in the guts of animals like cattle, goats, sheep, and deer. 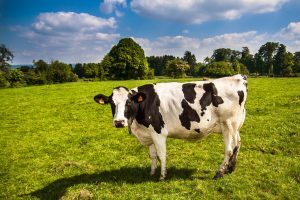 The major source for human infection are cattle food products and fresh produce contaminated with cattle waste. Should you stop eating certain foods ? The CDC is not recommending that the public avoid any particular food at this time. Leafy greens are suspected to be the source of the E. coli outbreak but the exact type of greens have not been confirmed. Since the last illness was a month ago, the good news is that the CDC thinks it is likely that the contaminated leafy greens linked to the outbreak are no longer available for sale. The investigation is ongoing, however. People usually get sick from E. coli O157: H7 3-4 days after eating or drinking something contaminated. However, symptoms can appear anywhere from 1-10 days after exposure. Some people may have a fever but it is usually not very high. Children 4 years old or younger are especially vulnerable. So are the elderly. In 5-10% of cases, a condition called hemolytic uremic syndrome (HUS) may develop, which can lead to kidney failure or even death. Most people get better within 5-7 days. Some infections are very mild but others can be severe or even life-threatening. Call your healthcare provider if you are concerned that you have an E. coli infection. 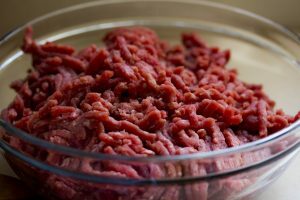 Use a food thermometer to make sure that ground beef has reached a safe temperature of 160° F.
Wash cutting boards and utensils after they touch raw meat to avoid contaminating other foods. Wash hands before preparing food or after changing infants’ diapers. Wash hands after contact with cows, sheep, or goats, their food or treats, or their living environment.